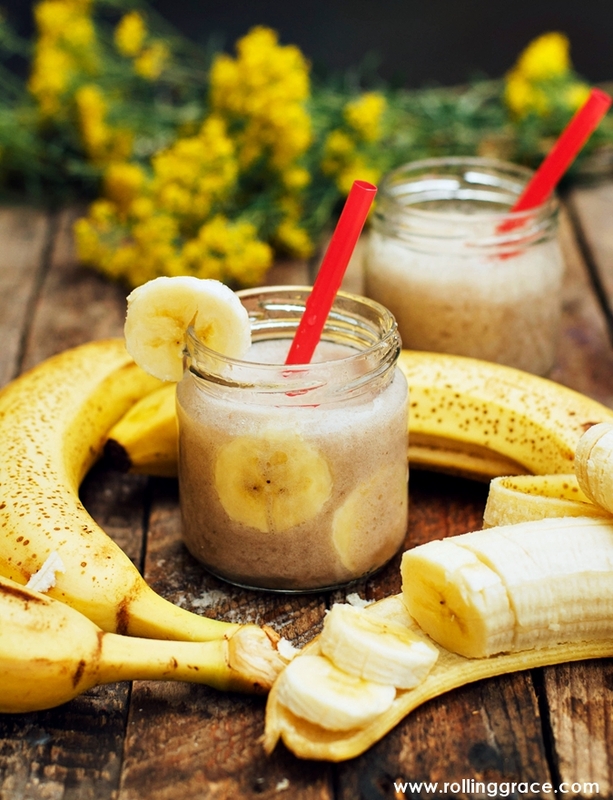 Once you try this delicious recipe, you'll never want to have your smoothie any other way. Yes, I've finally jumped on the wellness bandwagon. I now buy only organic produce, consume only plant-based milk, always making sure I load each of my meal with superfood, and adopted a vegan diet at home. The transition hasn't been easy, but I keep myself motivated by watching videos by YouTubers Cam & Nina for resourceful ways to jazz up my dishes. When I first heard about smoothie bowls, I thought it was just going to be another short-lived cafe trend and swore never to try it. RM30 for a bowl of blended tropical fruits? In Malaysia? No thank you. Yet I noticed on YouTube that most vegans have smoothie bowls religiously either for breakfast or for lunch. They made it seem like being vegan is a breeze. I always keep a box of ground seed concoction within reach. 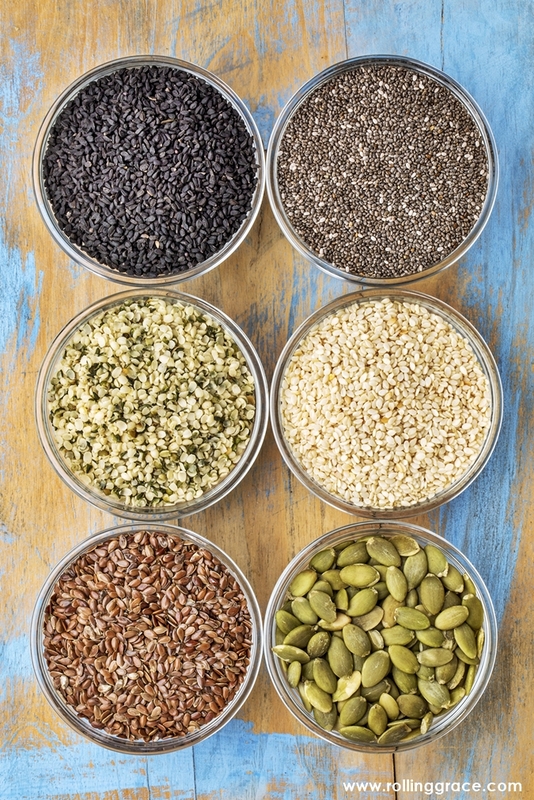 To prepare, I blend pumpkin seeds, white sesame seeds, brown flax seeds and golden flax seeds together until they are in a coarse powdery form. Put everything in a blender and blitz until thick, creamy and smooth. 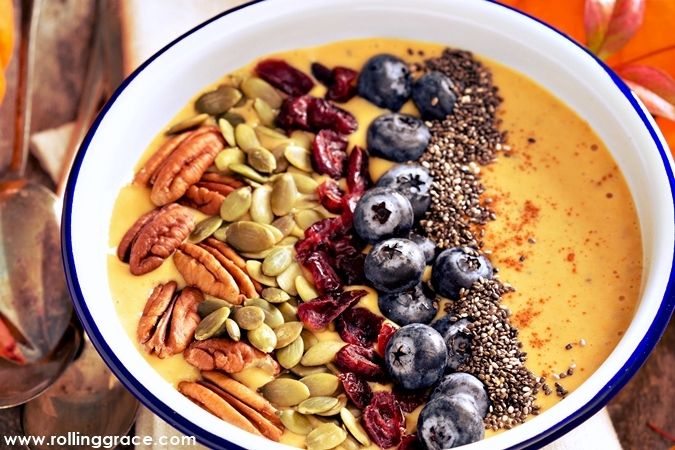 Serve in a cup as smoothie, as in a bowl topped with your favorite fruits and nuts as a smoothie bowl. Wow! how appeatizing this dish looks. Wonderful smoothie easy to make . I feel you are right once it is tried this way we will never want it the other way. Thank you for the post.